I had fun creating my card for the latest Little Tangles Challenge - Masking. I even got out my Copics, I haven't coloured for ages and I really enjoyed it (just don't look too closely). The only annoying thing was that the masking paper I used for the flowers took a bit of paper off in spots when I removed it but I don't think you can really tell that much in the photo. 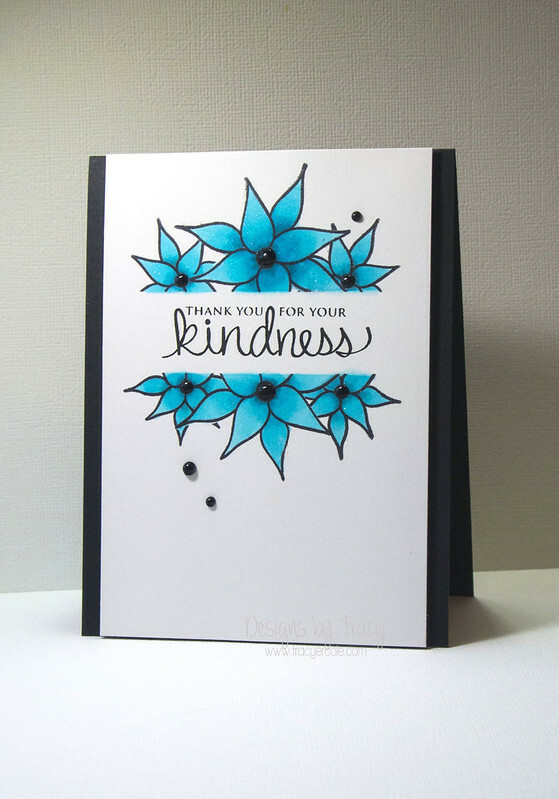 I hope you get a chance to play along, link up over at the Little Tangles Challenge Blog. Make sure you stop by the Neat & Tangled Store too and check out the new release, love love love the new stamps and sequins. Striking card Tracy! The bright blue with the crisp white background and black border is fantastic! 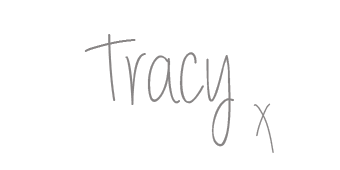 Beautiful masking Tracy! Love the pretty blue! I have had the paper problem cutting dies with low tack blue painters tape too. I think there are good results using post-it paper sheets. Beautiful job on your card. I like the black sides. This is truly card perfection!!! Just beautiful! !